Something needs to be said about the big wedding magazines/sites, who haven’t changed their “suggested wedding planning timelines” since the 80s. 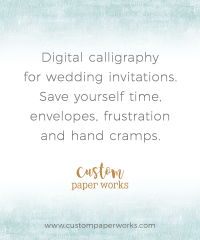 Custom-designed invitations from small studios are more affordable and more popular than ever. 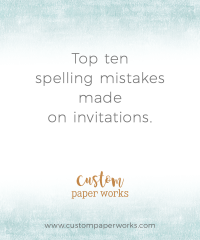 But many of the big-name publications haven’t adjusted the suggested timing for ordering custom-designed invitations. Almost every independent designer I know frequently books up well in advance. This means if you contacted them 4 months before your wedding per the old-school recommendation, you may be out of luck, paying rush fees, or continuing the search for other options. This is why it’s important to research invitation options early. 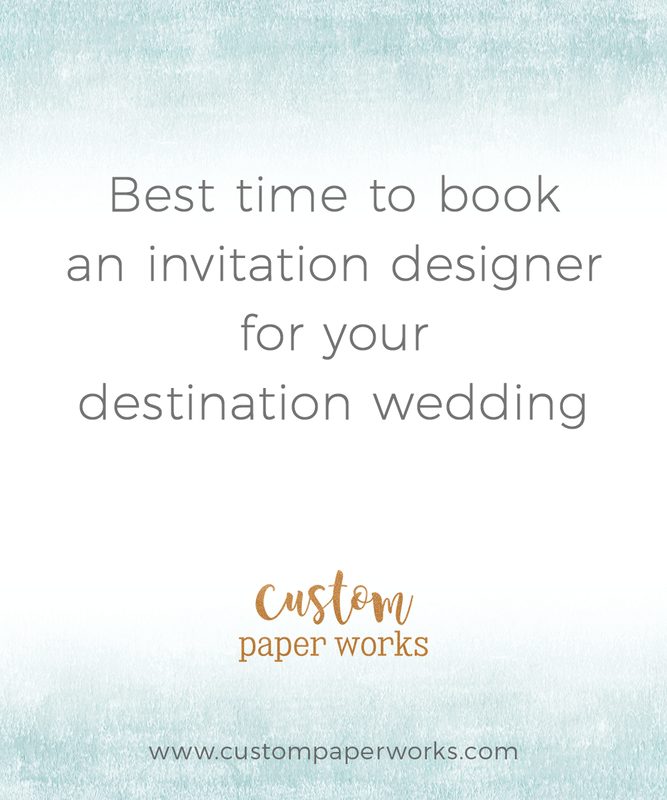 And if you decide that custom invitations are the route to go (of course they are ; ) book your favorite designer early. It’s just like booking a florist, dj or photographer. Get it done early, check it off the list, and revisit the details later … CHECK!